As you know from my first post on stroller accessible trails near Denver, we love getting out into the fresh air and my camera is never far from my side on these adventures. 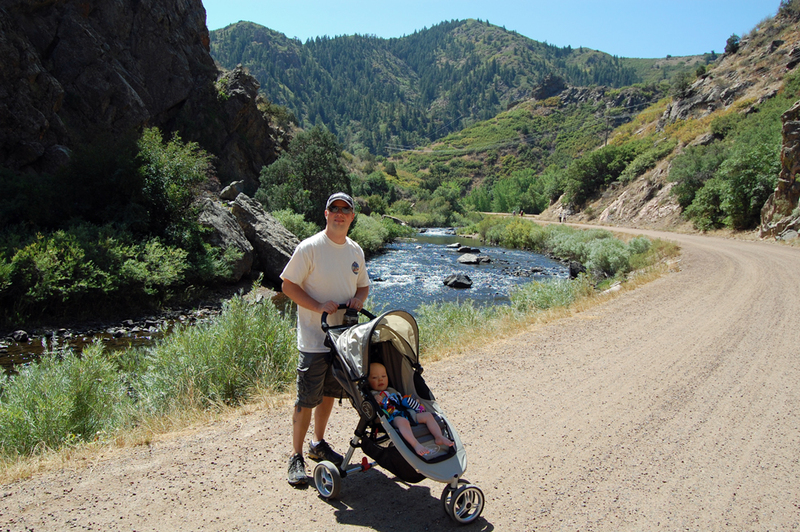 Every spring or summer we make our way out to Waterton Canyon which is is located just south of C-470 and Wadsworth. The trail is very much like a two-lane dirt road, however it is restricted to auto-traffic with the exception of authorized vehicles. You walk right along the river, and if you choose to hike 6.5 miles will come to the Strontia Springs Dam. We have never hiked up to the spillway, but instead go about 2 miles in and then turn around. On our last adventure, which was late last summer, we did see a herd of bighorn sheep.